The Rapace GTX is a lightweight mountaineering boot that teams a hard-wearing nubuck and fabric upper with waterproof and breathable GORE-TEX protection. 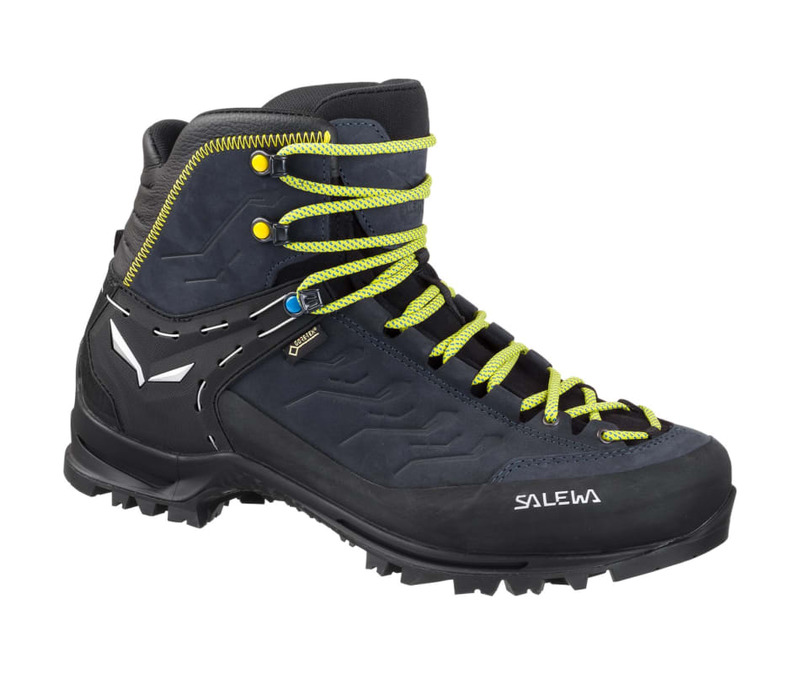 Secure grip meets comfort and support SALEWAs solution for via ferratas mountaineering. The Rapace GTX features our 3F System for ankle support, flexibility and a perfect fit, and an improved rear ankle mobility thanks to the patented Flex Collar. Its Vibram WTC outsole has an aggressive tread pattern that gives good traction, yet provides a natural feel and secure grip on rock, and its coupled with the Bilight TPU midsole providing a long-lasting cushion compared to the traditional sole packs.